For some reason Mugspotters finds itself almost impossible to wrestle itself away from the spectre of the Insurance and Claims Management industries. To be truthful though this provides us with a reliable and steady flow of product with which to stuff our blog. This sophisticated & voluptuous plunging black Deco just oozes class. Its rarely seen yet ample shape holds a VERY generous amount of beverage but I’m sure you’ll agree this is fit to grace both the dinner table as well as the working desktop environment. Awwwwww Bless. How cute is this? 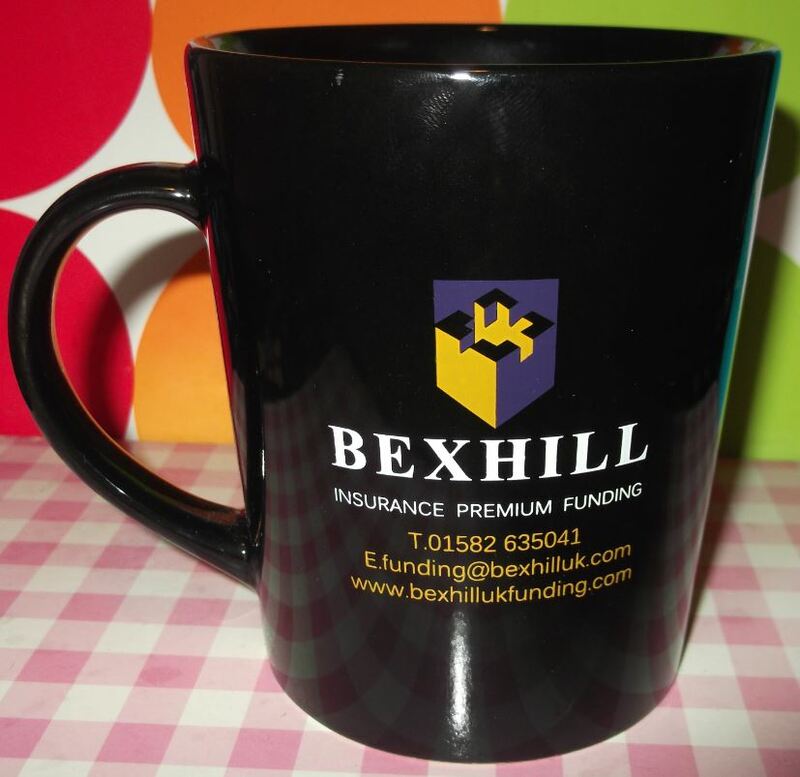 But what of Bexhill Insurance Premium Funding? Their location is not hard to deduce but what in the name of the Financial Ombudsman is “Premium Funding”? A trawl of the information super-highway reveals it’s (strap yourself in it’s a long one…) “…The lending of funds to a person or company to cover the cost of an insurance premium. Premium finance loans are often provided by third party finance entity known as a premium financing company; however insurance companies and brokerages occasionally provide premium financing services through premium finance platforms. Premium financing is mainly devoted to financing life insurance which differs from property and casualty insurance. So there you have it. I would have thought insurance brokers would have had the financial solutions in place to service the buying of policies off insurers but it transpires they all must not. Indeed it’s a bit like a barber having someone else do their own shave. In other news, this Deco came in a freebie bundle complete with a soft toy (awwwwww bless) & bijou carrier bag. For the purist Spotters I have snapped it in solitary confinement, as per the shot above but below you can enjoy the mug flanked as part of the wider package. 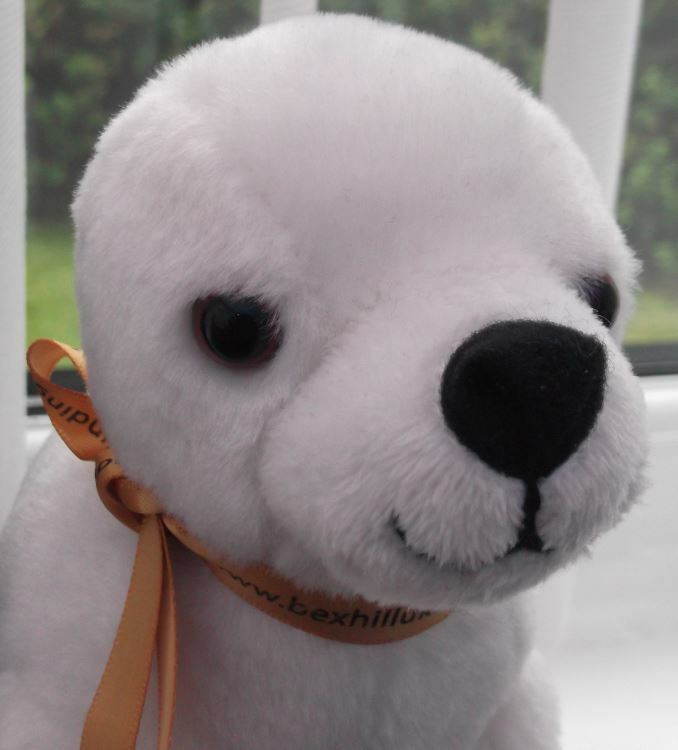 Disclaimer: No toy seals were harmed during the production of this blog. Another Brew-room rescue-job for our annals. We’ve seen some neglected specimens on this blog but this Cambridge is showing serious signs of disrespect & disregard. 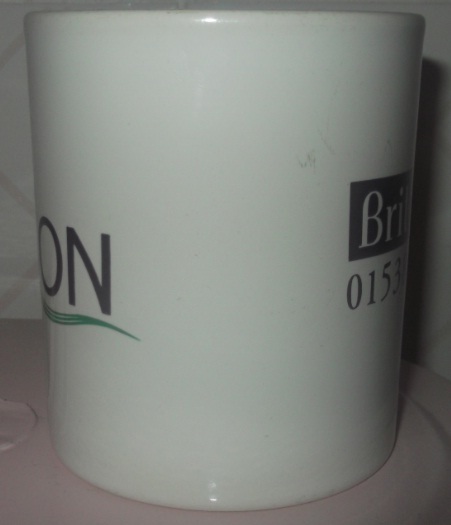 Jettisoned to one side with various items of odd cutlery, a Bristol & London mug (That’s for another post!) and a TU cereal bowl, this was the veritable diamond in the dung heap. 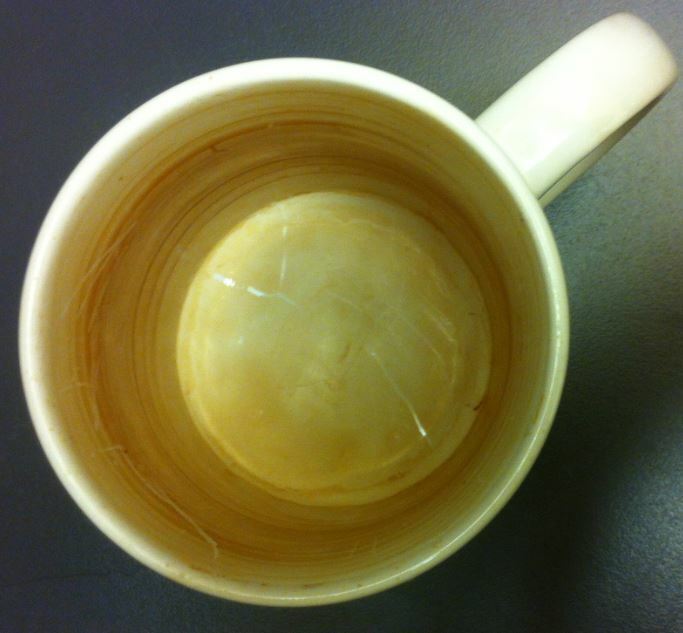 It was a emotional roller coaster seeing this new MugSpot but then when you take a peak at the horrors inside, there are more rings in there than Elizabeth Dukes! It reminded me of a tree stump and trying to guess how old it was is by counting its rings. Have a look and take a guess? Why not post a comment with your findings? 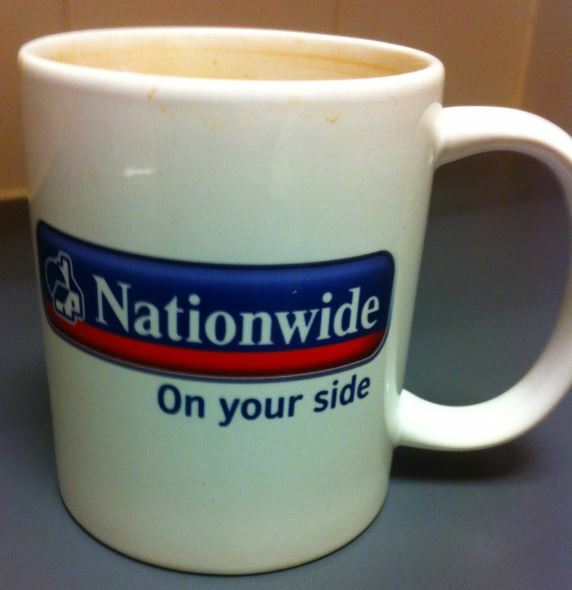 As for the Nationwide, they still lumber on on the high street lending money and stuff. I have great disdain for all institutes financial and have no desire to give them any more free advertising on this blog. Count the rings….I’d say this mug was about 9 years old! Spotters, it can’t have escaped you we’re now well into the Season of Goodwill and courtesy of a very generous benefactor we have a plethora of Trade earthenware hitting this site in the coming weeks so grab some mulled wine, slap on the NOW Christmas CD and peruse…. The first hits you full-on with some pure early 90’s typography and graphic flourishes. The second features a much more restrained elevation, making nice use of white space with just the logo nestling at the foot of the vessel. It even features the once-famous Midland Logo, proving there were Griffins in existence well before “Family Guy” was a twinkle in Seth MacFarlanes eye. 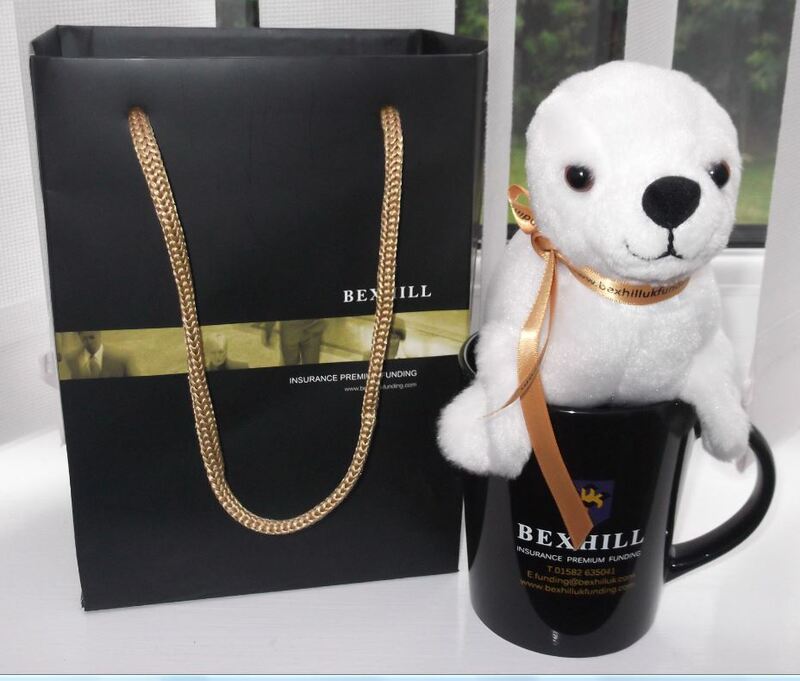 The Midland Bank were once a familiar institition on Britains highstreet but were annexed by HSBC in 1999 and so this mug would have been servicing banking yuppies back when the interest rate was 15%! My only interest however is the mug itself. 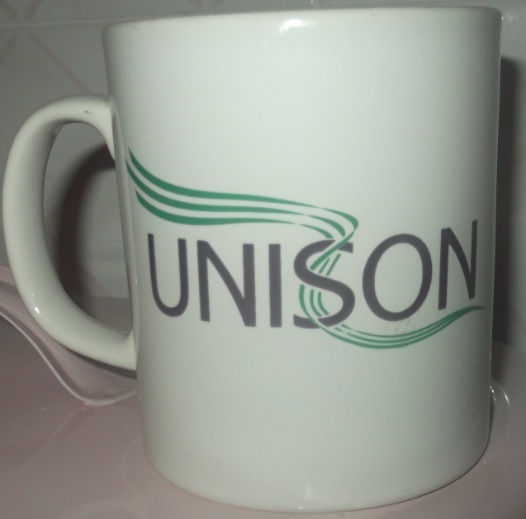 The blessed marriage of Britannia (now Co-Op) and Unison. The logos of both these powerhouses appear on symmetrical elevations of the mug, which sees the Cambridge make a welcome return to the site. In terms of appearance it’s pretty basic and whilst in Trade circles it’s not a popular as the ‘White Bread’ Sparta, for me it’s a much better mug. It has a slightly wider girth and the handle is so much more comfortable. We now present our first “2 for the price of 1” mugspot. Now we know there has been lots of trending suggesting we are running low on Trade Muggage but worry not Spotters, we have plenty more quality artefacts just waiting to be posted. 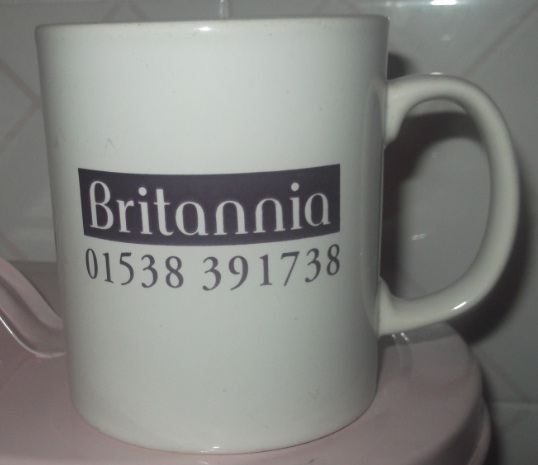 If it were not so, we could have easily passed this Cambridge off as 2 mugs and for those doubters, here is the conclusive proof this this is indeed a single mug!